So GST is here, the new taxation system has been ruled out, internet went ballistic with jokes, brands went quiet on media and consumers were busy posting bills on social media wanting to know if they were duped. In between the lull in action, Internet exploded in two geographies with the same reason. Politics and commerce merged and some didn’t take it well. We all know Snapchat and how the filters on Snapchat make the app the buzziest app for the young audience. They take snaps, put a filter and share it with all their friends. They laugh at it and move on to another filter. AIB did the same, and not with someone from AIB, but with Prime Minister Modi’s picture and his doppelganger with the #wanderlust. What was supposed to be a joke quickly went viral with user complaining to cybercrime cell of Mumbai Police who decided to file an FIR for posting a supposedly “lascivious” picture of Prime Minister Narendra Modi on Twitter. While AIB deleted the tweet, they did get trolled both by BJP and Congress supporters for a variety of reasons depending on the political leanings. The troll army didn’t hold back, not even after the PM himself tweeted “We surely need more humour in public life”. This is the reality of social media today. We do not engage in a conversation, we just get outraged and smart brands like AIB use the outrage to push their brand further. Tanmay Bhat and company have found a way to get PM to respond to them. It’s not the trolls, but the creators who created smart play and won. I have not seen a brand troll the leader of its country and win, I have not seen a brand that may want to troll the most powerful man on earth, the President of US. The president made a controversial remark while meeting French President Emmanuel Macron’s wife. This was captured on Facebook Live and people did cringe on the comment. Reebok posted the now famous sub-tweet “When is it appropriate to say” giving the POTUS a lesson in public behaviour and how to interact with the opposite gender. 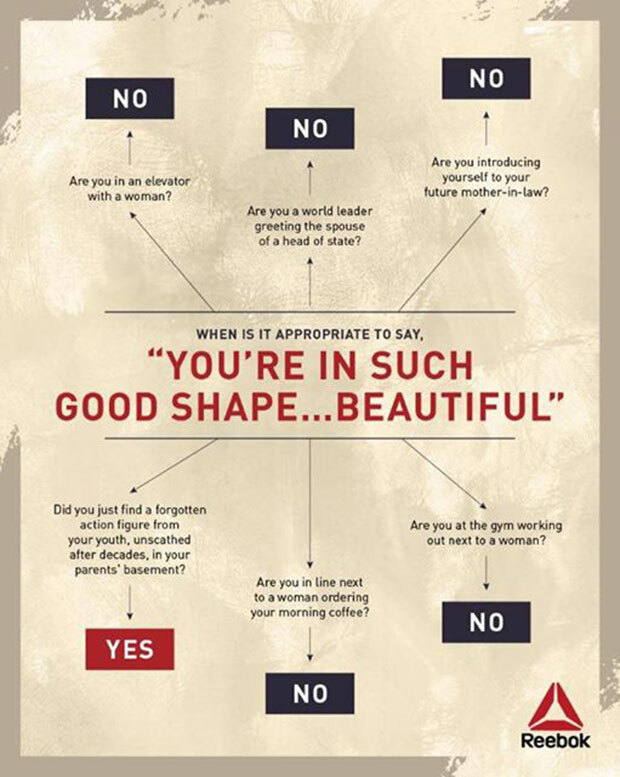 Reebok created an elaborate chart to let the President know how he should behave when. Reebok suggested, really the only scenario Trump’s words could ever be considered okay is if you’re saying them while admiring a decades-old action figure from your childhood that survived a long hibernation in your parents’ basement. While brands and politics is a new thing in social media, Canon created a simple but very powerful story on social media about two tourists, a restaurant, and pictures. This is the kind of content that still fuels the desire for the brand and makes the consumers reach out for expensive cameras. They didn’t troll the piffy phone camera, they didn’t troll the selfies, Canon upped the game and made your fingers reach for the shutter release button as you watched the chef playing with food. Brands today have to be quick, and maybe there is no subject that cannot be trolled. Social is making brands go smart, quick, and quirky and people love it. This has been one of those weeks in India where the politics has dominated pop culture so much that every other conversation has been pushed to the margin. As a country we remained glued to a host of hashtags and one TV news show that made the whole Internet stop and wonder. As usual there were two camps. Because the whole week was dominated by politics, it is best to look at some political advertising. The US Presidential Polls are gathering momentum, and three candidates are sparing no effort to gain the right for final battle for the Oval Office. I should make this clear, I know nothing about the politics of US, apart from the fact that they have two parties, and that the candidates have to win the right to run for office in a complex process and then the country chooses one to be the CEO of USA. I am looking at the ads of the candidates purely as ads, especially because powerhouse creative agencies like Droga5 are involved. First the campaign for Donald Trump is from Republican Party. 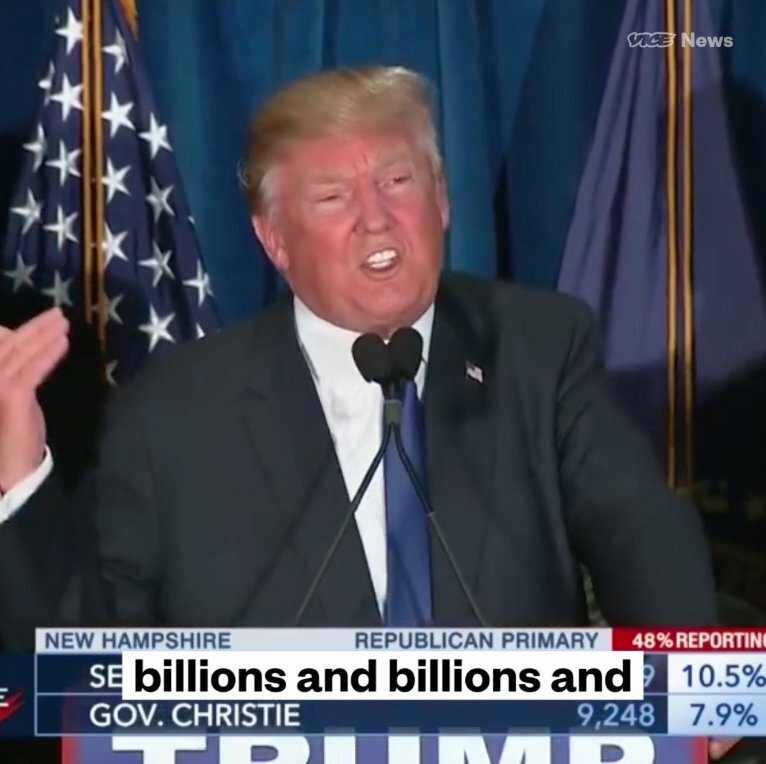 Donald trump is rich, showman, media star, outspoken and the challenger. His party is not the incumbent in office and that makes it easier for him to challenge the norms. His campaign is exactly like his public persona: outspoken and challenging. Some say even politically incorrect. He has built the entire campaign on Making America Great Again. His entire campaign is built on challenging the status quo. He is questioning everything. He is questioning the career politicians’ ability to get work done. He is questioning the crumbling Infrastructure and job losses in America. He is questioning the Healthcare system. Most famously he is questioning the immigrant policy of America. His creatives are mounted very simplistically. He is on camera speaking directly, to audience, cajoling them, motivating them to act and forcing them to go out and vote for him. It’s not an intellectual conversation, its extremely simple in its appeal. Making America Great Again is challenging in tonality and somehow is working for Trump whose message is “I will make it happen”. If we compare hos campaign to what happens in India, then this is as rhetoric driven a campaign as can be, there are promises galore, albeit the promises are grand and full of patriotism, and the campaign is a little less on specifics. May be that’s how it works in US. Or may be because the campaign is more to win the party nomination currently and not defeat the Democrat. The whole gamut of his campaign videos are here: https://www.facebook.com/DonaldTrump/videos. Do read the comments on videos, what stood out for me was the lack of vitriol that we have got used to here in India. Hillary Clinton seems to be winning the Democrat nomination battle, and she dies have support of heavy artillery. Like this ad called Children https://youtu.be/GsxbCplcfHI done by Droga5. The ad takes you back in time, almost 40 years and showcases Hillary as someone who was always involved with Children issues.. This is a clever piece of creative as it builds one singular dialogue that evolves over four decades. From a young, unpolished rookie to someone who is standing for the cause of next generation of America. The next ad has the compelling Morgan Freeman https://youtu.be/1iDRu2q2cRw narrating how Hillary could have been the top draw legal eagle, instead she devoted her life to causes of Children and justice and broader good of America. Like the Children narrative, this too chronicles her journey across the years. For a country where social media is well integrated with mainline, it’s a little strange to see a Presidential Campaign with no hashtags being used in creative. What stands out for me as someone who has worked a little bit in the political campaigning circuit is the lack of acrimony and prominence of civility in the broader political narratives. This is early in the campaign, the elections are in November, and there would be more ads that we will see. Trump, Hillary or Bernie, may the best ad win.